If in sermon study, you find your heart beating faster, tears of joy/sorrow/excitement forming, and you feel led to worship God, stay right there! Don’t move! For you stand upon the ground whence the heart of the sermon should flow. This is happening to me right now as I’m preparing the message on Luke 8:22-25. I’m not even in that specific text but doing work to help unfold that text for modern hearers. I’m working through a biblical theology, if you will, of God, water, and chaos. The Bible is clear: God is Lord over chaos! And to see the litany of works where Yahweh not only conquers the waters but uses them to do his bidding (and looking forward to the day where “the sea was no more”) – has overwhelmed me. I’m in tears. I’m overwhelmed with the greatness of God (and him in Christ! ), the goodness of Jesus to me, the grandness of the plan of redemption being workout out in history, and more things that I can piece out from what my heart is aflutter with. It leads me to worship right now! To put on music that gives a soundtrack to what my heart is feeling and my head is awash in. And I don’t want to leave my computer. I want to stay here. I want to preach whatever this is as the emotional heart of my message. Whatever I say on Sunday (which is obviously connected to what I’m studying), I want my hearers more than to know what I’m feeling, I want them to feel what I’m feeling. I want to share it. I want them to also experience the wonder and glory and grandeur of God in Christ. If you get these moments in study. Stop. Don’t move. Stay right there. Soak up every feeling, every tear, every hand raised, every knee dropped on the floor, whatever the response, just know you’ve hit upon the greatest emotional center that you can discover in a sermon – your own! Now, pray that God would be as gracious to the congregation in the preaching of the message as he’s been to you in the preparation for it. Preacher, seek to be overwhelmed in your study and be grateful for the gift that it is. 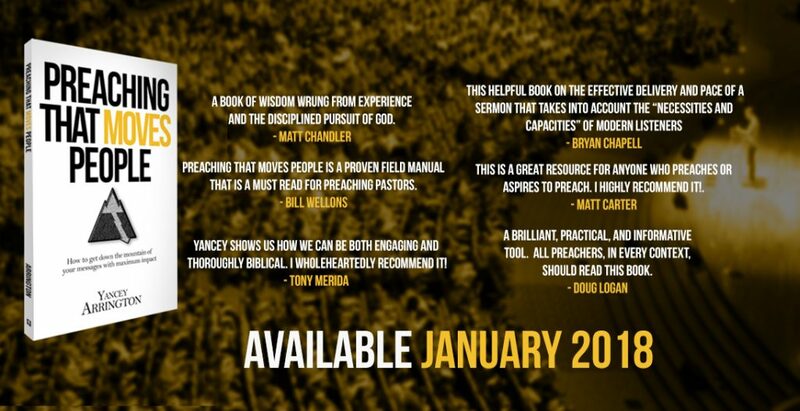 Yesterday my new book Preaching That Moves People was released. 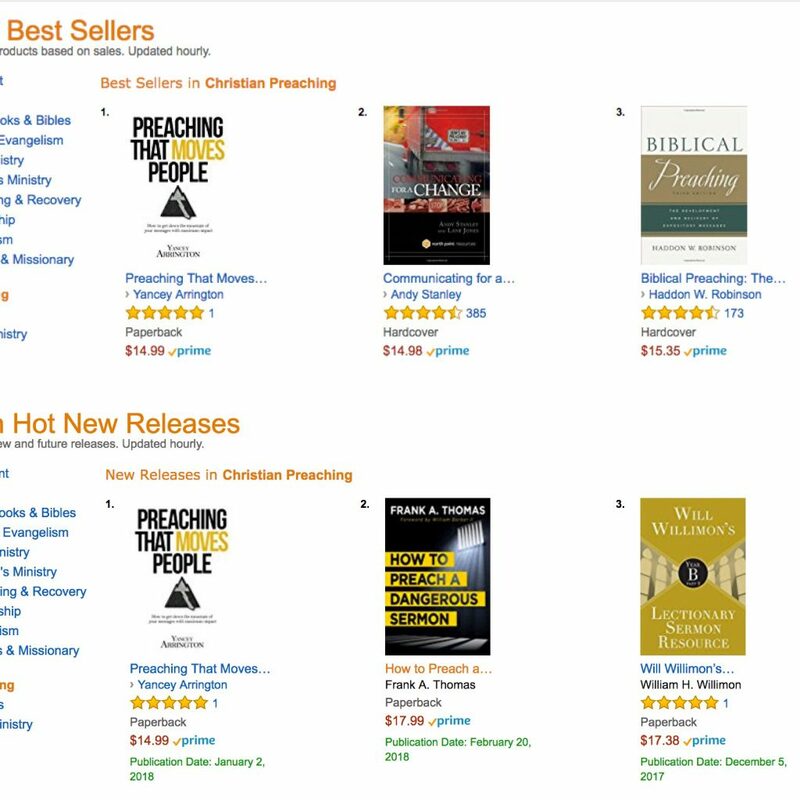 Within 24 hours it had become Amazon’s #1 Hot Seller and, even better, Amazon’s #1 Bestseller in the field of preaching books. Granted, it’s a fairly narrow field but I’ll take what I can get. 😉 The book has received a warm welcome and I hope God uses it to bless many pastors, church planters, and seminarians for years to come.